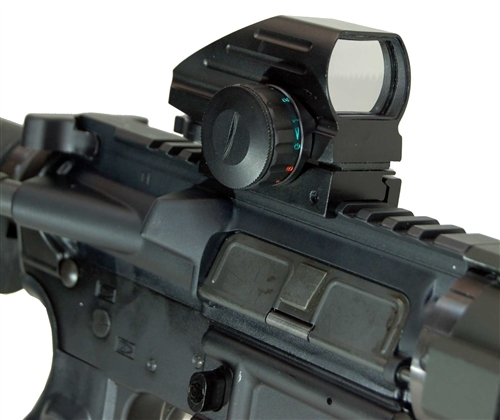 Our Sight is a field of view objective reflex sight with a dual red and green reticle. It has a Mil Spec 1913 Picatinny Mounting System. This CQB reflex sight has 4 reticles with dual red/green. The intensity of the red and green illumination can be adjusted with a turn of a knob. Constructed of high quality aircraft grade aluminum construction, it is shock proof, fog proof, and water proof. Tubeless Design. 1x Magnification. 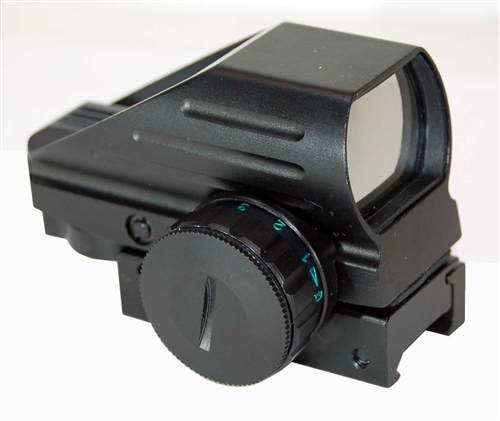 Objective (mm)-24x34. Unlimited Eye Relief. Multi-Coated Lens. Black Finish. Windage & Elevation Adjustments. 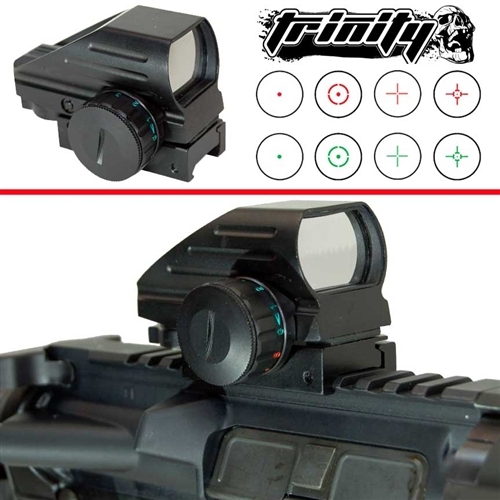 Tactical Reflex Sight For Tactical Marker.